Since its first announcement in 2012, Star Wars: Episode VII has been one of the most-anticipated movies of the decade. Official announcements about the next Star Wars have been few and far between, but now we’ve learned that screenwriter Michael Arndt (Toy Story 3) has left the project. I am very excited about the story we have in place and thrilled to have Larry and J.J. working on the script. There are very few people who fundamentally understand the way a Star Wars story works like Larry, and it is nothing short of incredible to have him even more deeply involved in its return to the big screen. J.J. of course is an incredible storyteller in his own right. Michael Arndt has done a terrific job bringing us to this point and we have an amazing filmmaking and design team in place already prepping for production. It seems like the best sources of information for all anticipated science fiction movie franchises are either toy fairs or trade expos. In the past, we found out that the Dinobots were going to be featured in Transformers 4 because of a memo from Hasbro to Toys R’ Us. Now we’ve learned about a few upcoming properties from Lucasfilm, including Star Wars: Episode VII, a Darth Vader-themed TV special, and a Star Wars digital library. While J.J. Abrams is preparing for a rumored January 2014 production start on Star Wars: Episode VII in London, we know the sequel film will be a continuation of Return of the Jedi. It is believed that a new cast will be brought on board for a sequel trilogy, but it is also rumored that they would mingle with the cast of the original trilogy. Nothing has been made official about Mark Hamill, Harrison Ford, or Carrie Fisher’s involvement in Episode VII, one cast member from the original films might have leaked some info about one popular and iconic character’s return. With rumors emerging that Disney and Lucasfilm might announce casting and a release date for Star Wars: Episode VII this week, we have yet to hear any official news coming out of the Mouse House. 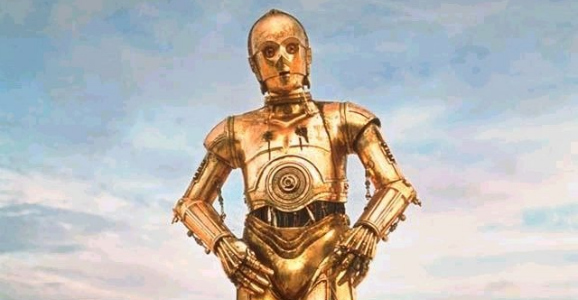 While we wait to hear how Episode VII will shape up, new rumors are surfacing about the new film’s potential titles. 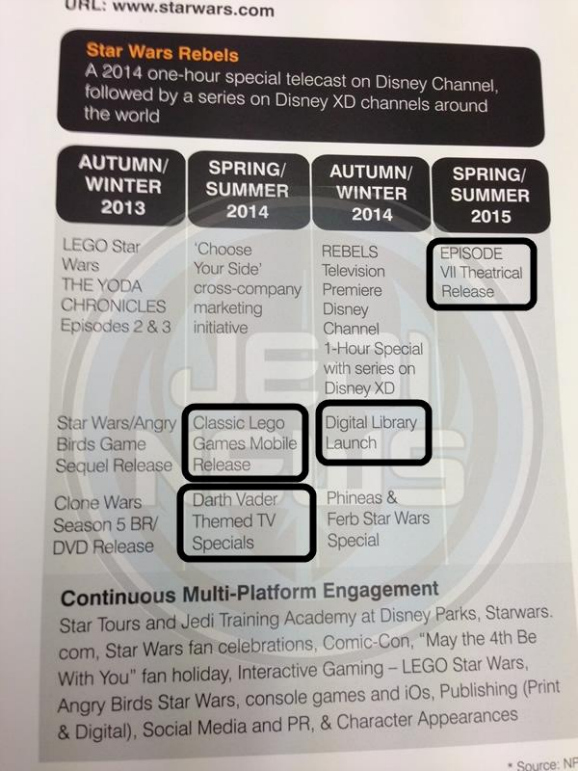 According to Latino Review’s inside sources, Episode VII is rumored to have one of two different titles. The first suggests a natural progression from Episode VI, while the other seems somewhat clunky. 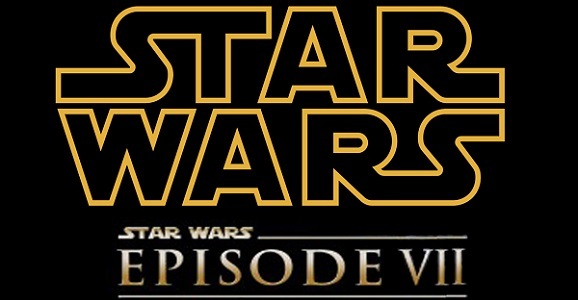 Star Wars: Episode VII could be titled either Rise of the Jedi or Return of the Sith. Supposed these two were the working titles for the treatment George Lucas had been tinkering with before Disney acquired Lucasfilm back in October 2012. It was revealed this week that Lucas was hoping to relaunch Star Wars franchise with Episode VII before Disney came in and bought his company. While the titles have the official stamp of approval from Mr. Lucas, J.J. Abrams and screenwriter Michael Arndt obviously are not obligated to use either of them. Over the past few weeks, we’ve been hearing tons of casting rumors surrounding Star Wars: Episode VII. According to Saoirse Ronan, one of the actresses who recently auditioned for a role, “everyone” has auditioned for the new Star Wars film. More specifically, we’ve heard rumors that Jonathan Rhys Meyers, David Oyelowo, Michael B. Jordan, Benedict Cumberbatch, Daniel Day-Lewis, Rachel Hurd-Wood, and Alex Pettyfer might be cast. While no actors have been officially cast in the film, new rumors are suggesting we might get some major announcements in the immediate future. So here’s what I’m hearing about Episode VII. Casting and title announcements are imminent, possibly today or tomorrow. But that’s not all. I’ve heard word that there’ll be an announcement trailer/teaser featuring Luke. Tweeting this so I look like Nikki Finke if/when it happens. 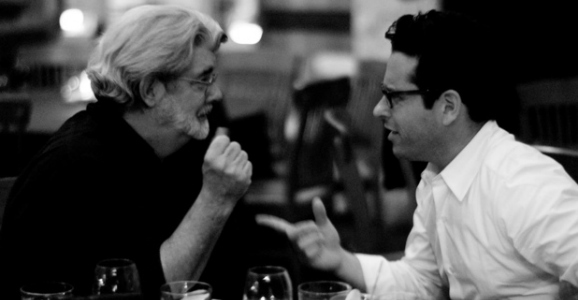 In an interview with Flicks and the City, George Lucas’ son, Jett, updates the outlet on the progress of the new Star Wars sequel trilogy, and about George Lucas’ relationship with J.J. Abrams. Jett Lucas tells Flicks and the City, “He’s constantly talking to J.J.. Obviously J.J. was handpicked. He [Lucas] is there to guide, whenever, he’ll help where he can. At the same time, he wants to let it go and become its new generation. We knew probably a year prior (to the purchase) he had started writing and researching, starting his whole little process. About a year later was when the idea of selling to Disney came up…It’s nice because he’s happiest when he’s writing and doing something with his time.